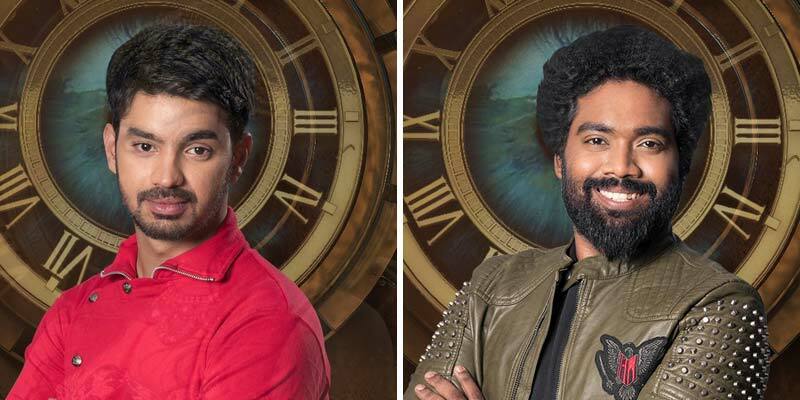 Bigg Boss Tamil 2 Contestants: After the grand success of Bigg Boss Tamil season 1, this time, it will be even bigger. The reality show started airing from Sunday, June 17. Actor-turned-politician Kamal Haasan’s majestic look and mannerism have already got popular among Tamil speaking people. This time, we can expect even more from him due to this entry to the politics. 11:08 pm: Oviya as Guest for one week! Not as Contestant. The host Kamal Haasan gave instruction to Oviya to act as one of the contestants. 10:45 pm: The sixteenth participant of the show, she is Aishwarya Dutta. Tamizhuku En Ondrai Azhuthavum debut actress. Also, she acted a recently released film Aarathu Sinam. She is from Bengal and spent five years at Chennai and currently living in Tamil Nadu. 10:33 pm: Shariq Hassan – 15th contestant. Son of Riyaz Khan and Uma Riyaz Khan. Debut actor in the 2016 Tamil mystery thriller film Pencil with G. V. Prakash Kumar and Sri Divya. 10:25 pm: Oviya will be the last contestant!!! 10:17 pm: Nithya, wife of Thaadi Balaji to the house. The host Kamal said, it is surprising! which he didn’t expect. She is 14th Contestant of the show. 10:05 pm: RJ Mamathi Chari to the house as the 13th contestant. A Veteran Radio Jockey and Television anchor. 9:50 pm: Thadi Balaji as the 12th contestant of BBT2. 9:43 pm: Actor-Comedian KPY Balaji will be the next contestant. 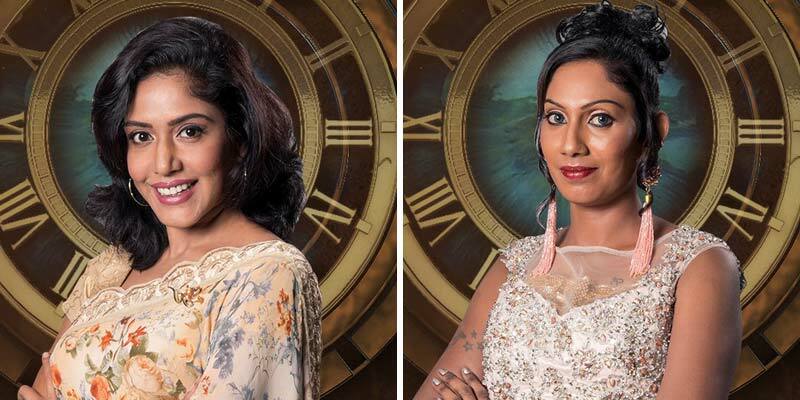 9:34 pm: Yes, the 11th contestant of Bigg Boss Tamil season 2 is Mumtaj (37 years). 9:29 pm: Mumtaj will be next contestant as of promo. 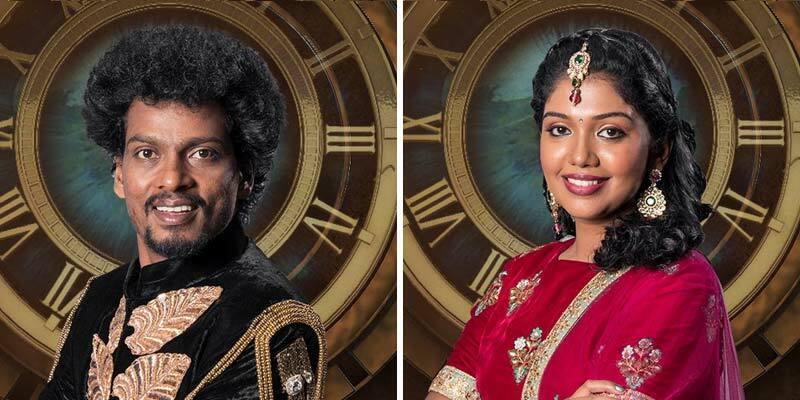 9:23 pm: Riythvika (25 years old) as 10th contestant. Madras, Kabali fame actress. 9:21 pm: Fun between housemates. 9:13 pm: Actor-Comedian Moodar Koodam fame Sendrayan (33 years old) to enter the house as the 9th contestant of the show. 8:57 pm: NSK Ramya as the eighth participant of this show. AV about herself. Neethaane En Ponvasantham singer. She is the granddaughter of comedian N. S. Krishnan. The host Kamal Haasan and Ramya NSK sung Ninaivo Oru Paravai from Sigappu Rojakkal. 8:55 pm: Musician Ananth Vaidyanathan as the seventh contestant. 8:38 pm: Janani (31 years) entered into the house and having the conversation with other inmates who all already inside the house. 8:27 pm: The sixth contestant of this show is Janani Iyer. Audio Visual about herself. Her introduction along with her family. 8:16 pm: Radio Jockey Vaishnavi (29-years old) is the fifth contestant of the show. Granddaughter of famous writer S. Vishwanathan. 8:11 pm: Daniel Annie Pope about to Kamal. 8:05 pm: Daniel Annie Pope (31-years old) is the fourth contestant. Idharkuthane Aasaipattai Balakumara fame comedy actor. 7:47 pm: Mahat Raghavendra (31-years old) is the third contestant of this season. AV about him. 7:39 pm: Ponnambalam speaking about his life which filled with most of the failures. 7:37 pm: Stunt actor Ponnambalam (54 years old) is the second contestant of this show. AV about him. 7:15 pm: AV about Yashika Aannand. 7:22 pm: After had a dance, introducing herself. Kamal asking some questions to Yashika about social media and people outside. 7:17 pm: Back to stage. Contestant introduction. Yashika Aannand (18-years old) is the first contestant, who recently appeared in an adult horror film. A model and actress! 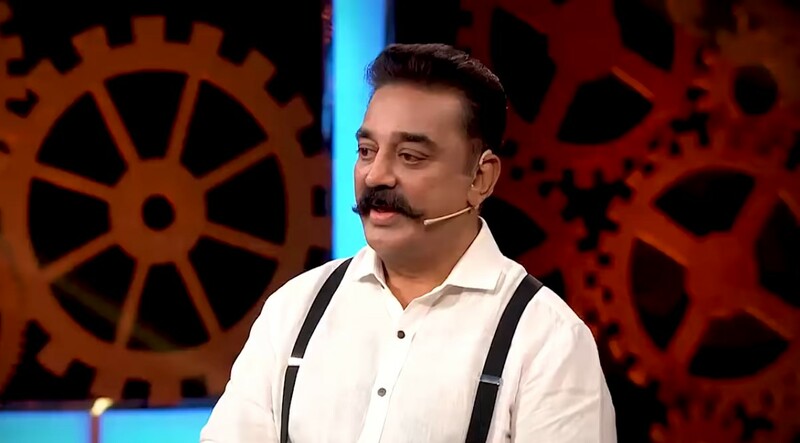 7:11 pm: Kamal into the Bigg Boss House! 7:08 pm: On Stage, answering the audience question. How will this season be different? What about the meaning of this season’s tagline? 7:05 pm: Kamal Haasan speaking and clarifying his entry to the Television show. 7:02 pm: People are waiting for Kamal Haasan’s arrival at the studio. 7:00 pm: Show Time: About season 1 grand success with the voice over of Gopi Nath. The Show set to begin shortly at 7 pm. Stay tuned! Vijay Mini Bytes going on – it is Kings of Dance! In the new promo which released today, Kamal Haasan introduced Oviya as a seventeenth contestant and asked about her discontinuity from the show of the first season. Also, allowed as one of the participants of season two. She also went back to the house with her belongings. The show makers have already allowed few media peoples inside the new house and also the photos of Bigg Boss Tamil season 2 in on viral in social media. The shot of Kamal Haasan’s visit to the new house has already made. The Bigg Boss Tamil season 2 House has erected at EVP Film City in Chembarambakkam on Chennai-Bangalore National Highway. The photos of new Bigg Boss House was already unveiled online which was also shared by the official social media of Vijay Television. This time, the maker also tried a new way of promotion for this reality show by introduction caller tune. The channel has announced the people can set the theme music of Bigg Boss Tamil as their caller tune. Just they need to type BBT and send SMS to the number, 57827 if you like. Please note that charges may apply!